Is Corneal Cross Linking experimental? or Does It really work? We pose this question as many medical insurances deny patients reimbursement for cornea cross linking to treat keratoconus. Many parents also pose this question as their own optometrists were unaware of the benefits of cross linking the cornea. We are going to turn to Australia for a peer review objective answer to this question. Our Australian colleagues performed a study which has been vetted by our peers. The Australian keratoconus experts selected 100 eyes with progressive keratoconus eye disease. They divided them into 2 groups. One would receive Conventional cornea cross linking while the other would have no intervention ( like your insurance company would want). They measured various data like vision, cornea thickness, and curvature of the cornea at various intervals over a period of 3 years. Are you ready for the results? Can you guess what they showed? 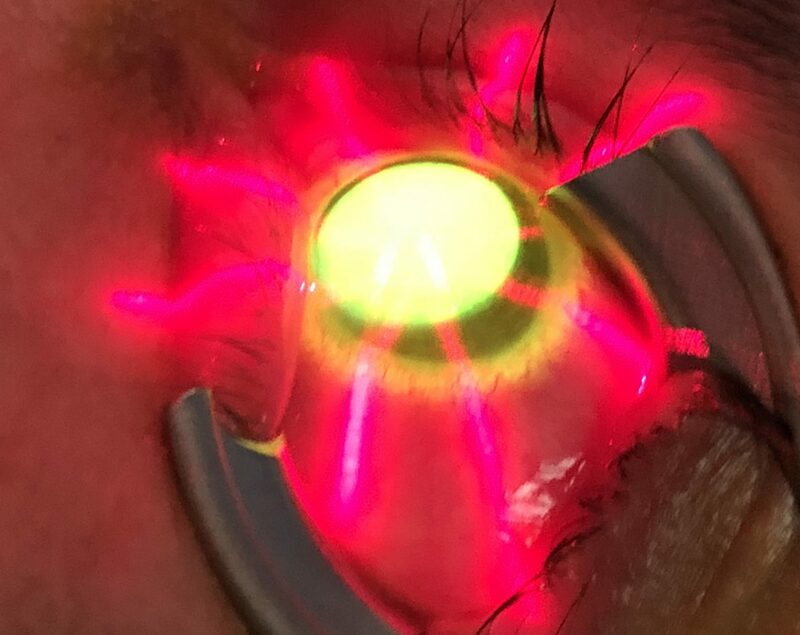 Yes Conventional Cross Linking with UV-A applied on riboflavin soaked eyes was able to prevent steepening of the cornea. It preserved vision both uncorrected and best corrected. It also improved the shape and vision in many instances. We are so convinced by the results we would not be able to repeat it here in the United States. For we would not condemn any kid with keratoconus to be in the control group. The benefits are so obvious. Like society eradicated Polio it is time to wipe away keratoconus eye disease. Feel Free to print the abstract from the respected Journal Ophthalmology which is attached as an image to show your doubting doc, illogical insurance rep or obstinate optometrist.